We had ‘omurice’ (Omelette and rice) and ‘taco rice flavored keema curry’ that were very good at ‘Panda coffeeten’cafe. And, the both of them were represented adorable panda’s faces. 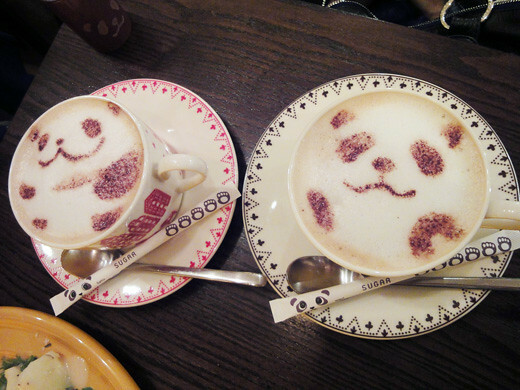 At the end, we had a panda au lait that had drawn a sweet smile panda’s face. We had very peaceful time with a lot of pandas there. I’d love to visit this cafe, it looks so fun and cute! 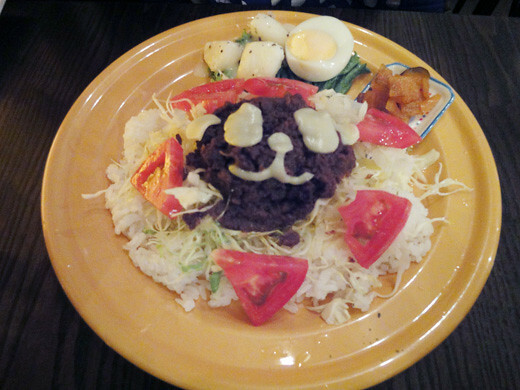 Somehow I would expect this cafe to be in Ueno…but sooo cute!